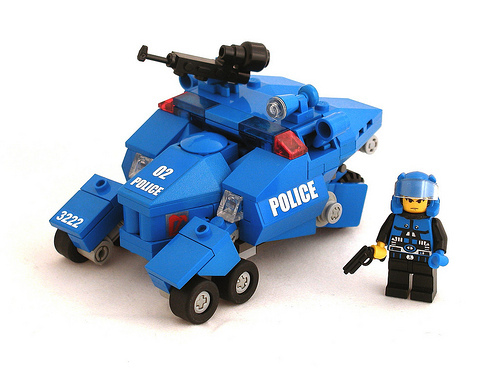 This police tank posted recently by Lord Dane on flickr packs all the right angles. It features an unusual arrangement of wheels, some clever details (that gun is so simple, but so nice) and a shape that’s sleek and chunky at the same time. I don’t know if I’d get the same Blade Runner vibe if the creation had a different name, but it’s certainly there for me now. Nice! Has a fuchikoma-esque feel too.